Today, texting is more convenient option of getting in touch with people as compared to calling, as you can quietly do it in bus, trains or anywhere else. Although, sometimes texting is not an efficient way of communicating, and this is mainly because of airtime it cause. Well, a prior solution to this are the instant messaging application available for all the smart devices today.WhatsApp, being on the top of the hierarchy calls out most of the users to use it frequently. With over 200 million active users monthly, the app allows to connect with anyone; with an only requirement of their registered number. WhatsApp has the largest user base, as compared to the apps prevailing in the same niche. Several attempts of cloning it has been made, including Telegram, Hike and many others, none of them seemed to have reached the apex where WhatsAppstands. To get started with the WhatsApp you must have a compatible device including any of Android, Windows mobile, iOS, Symbian and Java (S40 V3 or greater). 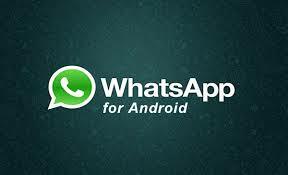 Appropriate version of WhatsApp can be download from the respective app store of the devices. WhatsApp for PC is not yet available as a standalone application, however a webversion is available. To register in the community a cell number would be required to be able to receive text messages, as a verification code would be sent to the same. Once all the verification are done, you can straight away use the provided services. The app will use you phone’s contacts to build a list, which would contain all the users already on the network with which you can chat. Just tapping on the respective names would open the chat activity and you can chat right away. WhatsApp is not just about texting anymore, the developers have now integrated a bigger concept in the app, popularly called as VOIP (Voice Over Internet Protocol). You can now call to the numbers in your whatsapp’s contact list, without consuming any airtime. This uses the same voice over internet protocol, which apps like LINE and Wechat have been using since quite a considerable amount of time. When tested on an Android device over a stable network, the call quality can be rated between average and good, as there were no cluttering during the calls; although calls were automatically disconnecting and re-connecting when the connection speed was gone below certain threshold. Make A Group And Socialize In ABrand New Way! Groups are the most convenient way of socializing with your friends and planning out things even at organisational level. Consider a case where you plans out a party on weekends, you can just separately call out everyone or can text each one; then there are groups, you have to just add all the people and give them updates about the event. Such groups can allows 30 users to be added, including a moderator, who is none other the person who made the group. Moderators/admins can also be changed or added by primary admin only. On a concluding note, WhatsApp can be summarized with following pros and cons. Huge number of registered users. Available in almost all smart devices. No video calling feature yet. No special stickers available yet.